Dose for humans – take 1 tsp daily, building up to 1 tablespoon over a few weeks. Diatomaceous earth (DE) Fossil Shell Flour has been reported in scientific literature to absorb methyl mercury, E. coli, endotoxins, viruses (including poliovirus), organophosphate pesticide residues, drug residues, and protein, perhaps even the proteinaceous toxins produced by some intestinal infections. Pyrethroid insecticide residues probably also bind to diatomaceous earth, since pyrethrins from Chrysanthemum flowers bind to and are stabilized by this material. The only brand of pure DE currently recommended is from Perma Guard. Perma Guard’s Fossil Shell Flour has been approved by the FDA (as a 2% by dry weight food additive, as an anti-caking agent, or as a grain storage additive). Fossil Shell Flour is amorphous (non-crystalline) and is Generally Regarded As Safe (GRAS), but as an extra safety precaution the dust should not be inhaled. 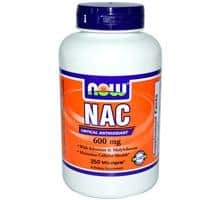 Since it appears to pass inertly through the digestive tract, releasing only a few trace minerals, decide for yourself what dose works well, bearing in mind that taking large amounts my have some very uncomfortable effects. I am a 57 year old woman. I have had broken sleep now for seven years, since I became menopausal. I started taking Diatomaceous Earth a few months ago. I take one heaped tablespoon disolved in water and after a couple of days the sleep deprivation vanished. The sleep problem was that I was able to go to sleep but every night I woke up between 2am and 3am and could not return to sleep. I started taking DE for removal of toxins and as a supplement aid but found also that it removed my sleep woes. This miracle of sleep that DE supplied has been replicated so far by six friends and I would like to thank the DE suppliers for this assistance. I have been taking Diatomaceous Earth now for about a year and find that my health has improved greatly. My thinking has been clearer. I have more energy and my hair and nails are much improved. From the first time I took this my stomach has felt cleaner and lighter. I was amazed as I certainly did not expect any results so quickly. I wanted to take this opportunity to express my complete satisfaction and total success I have had with your product Diatomaceous Earth. It is everything and more than you have said it would be. I have been using it for my chickens and dogs. I have 26 free ranging hens and each morning I have mixed 1 heaped tablespoon of DE through their wheat pellets, also sprinkling some over their greens. I was totally amazed at the difference I saw just within a week of using it. My egg production increased from barely getting a dozen eggs a day, to getting either 22 or 24 eggs a day. All of my hens are over 2 years old, so this is really amazing. I also sprinkled DE in their sawdust floor covering and nesting boxes and on their perches. I noticed the difference in literally just a few days in the scale on their legs and the lice that they had in their feathers. It had improved drastically. Also, over a few weeks their feathers looked healthier, their eyes brighter. They are generally a happier, healthier flock of chooks. They were looking so much better it was actually noticed by visitors!!! As for the dogs, I was blown away with the difference in them. I have 5 large dogs and each evening used a large tablespoon of DE over their biscuits, just the one tablespoon between all 5 dogs was enough. Within 3 days I noticed in their droppings, large worm masses. My dogs have always been wormed regularly so I wasn’t expecting them to still have worms. I was really surprised to see the amount they expelled. Their coats are shinier, their is a noticeable difference in the amounts of fleas they get too. I sprinkle DE in their kennels, on the ground outside their kennels and have also puffed it onto the dogs directly to see if it would stop ticks. I haven’t seen a single one. My next step is to use it next year when I raise calves and I am looking forward to seeing how much healthier my calves are. I thank you so much for making this product available and I am looking forward to using it in my vege garden and around my home as I try to be as organic and eco friendly as possible. It appears Diatomaceous Earth is the product that will make my life so much easier and healthier. Thankyou so much. I will certainly continue to recommend DE to all and everyone I come across. Hi, I have been taking DE for several months now and I feel fantastic. My sleep has improved and I have heaps of energy and would recommend it to anyone who is feeling run down. I’m so thankful for discovering DE and will continue to use DE forever. I just want to say what a big difference DE has made to our lives. Our family have all suffered from worms for a long time. They just kept coming back. We are now all worm free. I have rubbed it into our pets’ skin and put it in their food. Now there is no flea dirt where they have been. They look a lot healthier. I have put it in the chicken bedding to get rid of fleas and mites. What an amazing product. Do the research and you are just amazed at how many uses it has. About 20 years ago I acquired toxic poisoning from regular application of 24D gorse spray and other chemical based pesticides. As a result, my weight was 9 stone which was considerably low given I am over six foot. After nearly two decades it has taken me all these years to get up to 10 stone – still very much underweight. In November 2011 I met the DENZ team at the Bay of Islands A&P Show. I started personally taking Diatomaceous Earth every day – and still do to this day. My weight has steadily gained to a healthy 14 stone in under a year and I feel fantastic. I cannot attribute these improvements to any other change in diet or lifestyle. For some time I have had osteoarthritis with limited mobility in my right hand – I could not even close my hand. Within 6 weeks of taking DE I had regained complete mobility in my hand which I never thought I would be able to do again. Within a very short time of taking DE, I was able to come off most of my meds, including my cholesterol medication. I haven’t felt this good or been as healthy in many years. Fossil Shell Flour Stimulates the basic metabolism, increases protein digestion . Satisfies and stops dirt licking and stable gnawing. 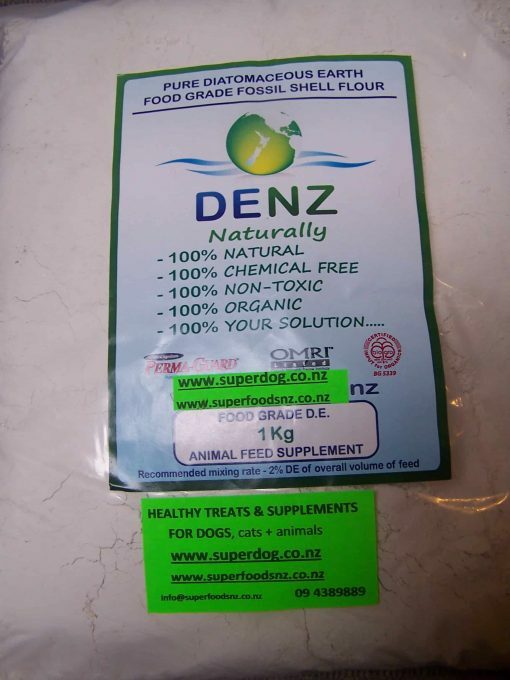 My horse has been fed this for almost a year, it is mixed into her daily feed and within months she had a glossy shiny coat and improved hoof growth. A Recent worm test came up with zero egg count so I am definitely in belief that this has help her parasite control. Worms start dying within 7 days of use and lung/heart worms within 60 days. DE pierces and dehydrates the worm and over a few months the worm cycle has been killed. DE does not kill the eggs but as in my case by killing the worms there were no eggs.